Dennis Ott Obituary - Shippensburg, Pennsylvania | Fogelsanger - Bricker Funeral Home, Inc.
Dennis Tyler Ott, 28, of Shippensburg, departed this life on Friday, June 29, 2018. He was born on June 18, 1990, in Hagerstown, a son of Dennis L. Ott and Kimberly S. Bowser Ott. 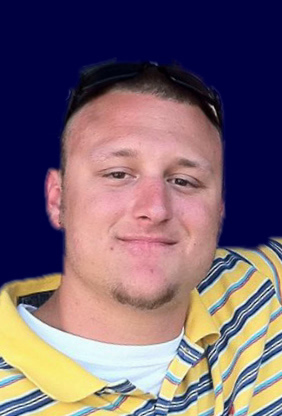 Tyler was employed in the warehouse industry, working for LKQ Penn–Mar, Inc., and Southern Enterprises LLC. When in school, Tyler participated in wrestling and baseball programs. He enjoyed playing baseball, softball, riding motorcycles, and was a fan of the Philadelphia Eagles. Tyler was a kind hearted soul who enjoyed helping others and he loved being a father to his daughter Ava. In addition to his mother, Kimberly S. (companion, Gary Hockenberry) Ott of Shippensburg and father, Dennis L. (Cindy) Ott of Newville; Tyler is survived by his daughter, Ava Lynn Ott of Shippensburg; two brothers, Joseph Scott Mills of San Diego and Daniel Lee Mills of Wells Tannery; step-brother, Madison Fisher of Newville; step-sister, Miranda Fisher of Shippensburg; paternal grandmother, Gladys Ott of Shippensburg; maternal grandmother, Lucretia Bowser of Chambersburg; and several nieces, nephews, aunts, uncles, cousins, and friends. Tyler was preceded in death by his maternal grandfather, Harry Bowser; paternal grandfather, Benjamin Ott; and uncle, Danny Ott. His funeral service will be held at 7:00 p.m., on Friday, July 6, 2018, at the Fogelsanger-Bricker Funeral Home & Crematorium, Inc., Shippensburg. Pastor George Strayer will officiate. Interment will be private. Viewing will be Friday evening from 5:00 p.m. until 7:00 p.m., at the funeral home.